But what is striking and perhaps for many counter-intuitive is that the number of Russian Federation citizens moving to Ukraine exceeds the number of Ukrainian citizens moving in the opposite direction, with the former ranking second behind the Mexican-US channel and the latter ranking third. According to the World Bank report, there are currently 12.2 million migrants in the Russian Federation, many of them Ukrainians, and 5.3 million migrants in Ukraine, a large share of them Russian citizens, flows that have sparked widespread discussion and some conflicts in both countries. The fact that more Russians are moving to Ukraine than Ukrainians to Russia, however, does not strike some experts with whom the “Novy region” news agency spoke. Yevgeny Minchenko, a political scientist, said that there are many reasons which explain the motivations of both groups. First of all, “Kyiv is a more compact and comfortable city,” and compared with Moscow, there is “significantly less aggression. Moreover and perhaps especially important, Ukrainians retain “a high level of tolerance for Russians,” all the more so because so many people in the Ukrainian capital use Russian as their first language. In addition, Minchenko continued, Russians are pleased by the absence of “people from the Caucasus” in Ukraine, at least compared with major Russian Federation cities, and they like the fact that “in Ukraine competition in politics and business at least for now is being preserved,” qualities that he says are especially attractive for middle managers and consultants. At present, the political scientist continued, “the demand for business and political consulting is “an order higher than in Russia,” and Russian consultants are often viewed as “more professional” than their local competitors and thus often win the best contracts and positions. In Russia, “the fashion for American political consultants has passed, but our specialists enjoy demand,” Minchenko said. “Plus in Ukraine, it is quite easy to open one’s own business,” although at present there are fears that the tax code changes that the new government plans may change that. If so, there could be a reversal of the flow of these migrants. And Minchenko adds one final reason Russians are moving to Ukraine. Many who are doing so, he said, are attracted by Ukrainian women and many of the migrants marry them. “Among my acquaintances,” Minchenko said, “there is an enormous number of mixed marriages,” especially with women from Kyiv. 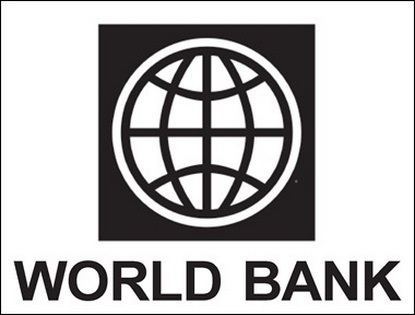 But not all analysts agree with the World Bank’s findings or with Minchenko’s explanations. Aleksey Mitrofanov, a Russian politician, suggested that the World Bank’s report was based on “a primitive method of accounting” and should not be taken seriously because it misstates reality. For example, he said, imagine that “an individual three years ago comes from Ukraine to work in Russia. He worked there and in this year returned to his Motherland. By [the Bank’s] statistics, he is included in migration from Russia to Ukraine,” even though in fact, he is a Ukrainian going home. “Ukrainians, just like Caucasians and Tatars, return to their little motherland,” he insisted, moving to make money but then desirous of going home. That is a contrast to the situation in Russia where once an individual leaves his village, he tries to forget it “like a bad dream” and never plans to go back. Mitrofanov suggested that the number of political consultants involved in this migration exchange was microscopically small and he disputed the notion that doing business in Ukraine was easier. Moreover, he suggested, one needs to recognize that many of the “Russians” going to Ukraine have “Ukrainian roots” and so are also simply returning to their motherland.